This novel gave me a number of experiences while reading. I laughed, raised my eyebrows and at times toward the end had slightly damp eyes. Overall, it was an enjoyable read. It’s part of a trilogy, I’ve not read the first part, but I was able to get my head around the complex plot in this second part. This book has a lot of concepts waved into the story line, many of which face the modern woman of today, even though it’s set in a historical backdrop of Lords and Ladies in a British setting. Let’s get into the review. This novel is set in the UK, written by an American author. I don’t like too many spoilers so I’ll just outline the plot. Evelyn Westbury is an entitled lady from London, some what spoilt but to me very likeable. She has a fierce headstrong side to her. She has been cursed by a gypsy, she is unable to speak to anyone outside of her family. She communicates with a notepad and pencil. Her plan is to travel to France, find the gypsy and break the spell. She finds a stash of money her father hid, that’s her meal ticket to set sail to France. She starts her journey via cart from London to the port in Southampton to take the boat to France. In the middle of a war too! Part of her mission to break the curse is as her engagement has broken off, she feels her lack of speech could have been the reason why, as well as other family drama. She was due to marry a the very rich and entitled Lord Newgate. On her journey in the cart and carriage to Southampton she meets Alfred. T. Combes, enter Mr. Tall Dark and Handsome. She is drawn to him more so than he is to her, as he ignores her. Evelyn is not used to this, men seem to swoon over her. There are a couple of bumps along the way, Alfred decides to be her travel partner and protect her. A lady travelling on her own in this historical time frame is not acceptable. Evelyn also finds that she is able to speak to Alfred, is the curse real?? Their journey is delayed and the drama starts. There’s a lot of push and pull, build up. Toward the end we learn that Evelyn has got herself into more than she realises, with the money she took from her father. She becomes a wanted woman, for many reasons I won’t giveaway. Lord Newgate (her ex and our prize prat and villain) turns up and wants to know her again, after he broke off the engagement. He has his “reasons”, he’s not happy about Alfred minding her these two have a history. Fireworks spark. Along the line Evelyn is kidnapped, this is where we see our Mr. Tall Dark and Handsome take charge and fight for his lady, which he did amazingly! They find their happy ever after. But not before a few bumps, twists, one loss that sends Evelyn back to her mute former self. She mourns for a few months, Alfred really comes to life as a hero. It was great to see this play out. She cuts off her hair and really experiences a change of character over a major loss. I found this very realistic, I think when a woman chops off her hair ( from a longer length) she is experiencing some major change internally. I liked this emphasis on her character .Finally the pair make it back to England via boat, a new life starts as a married couple, right at the end her loss has been restored, this leads to part three of the trilogy. I’m giving Silence is Golden 4* stars because like I was saying, this was quite an enjoyable read for me. The characters are likeable, the ones we should like. Lord Newgate is written well enough to show him as an unsavoury villain. I really liked Beatrice, Evelyn’s sister- I loved her to bits. I liked Evelyn too, I watched her grow a lot in character from spoilt to mature lady. The author did a good job with character development. The outside characters are all really likeable too, some were very entertaining. The plot of this book is good but very complex, so you will need to pay attention to what’s happening. What I liked about the complex plot is, it takes your average historical romance into a whole new reading experience of suspense, what will happen next? And realness. Evelyn is faced with some decisions a woman of today could understand. Does she marry and live an entitled life with Lord Newgate, once he shows interest. Or does she settle with genuine happiness, with a man with no land, title, money etc. ? In this time era this question was a massive one for a woman, maybe even one that a woman did not have much choice on. To support herself, back then, would have been unheard of. In this day and age, many women may ask themselves this still, even though we can now support ourselves. The question is more about long term happiness now a days rather than survival. Shall I date him as his pockets are deep, and he won’t be feeding off me? But he’s a bit shallow? I liked this element of reality. Toward the end about a good 75-80% in, is where I really experienced a change of pace in the storytelling. My heart strings tugged, the hero (Alfred) made me go “ahhh what a man”, trust me he really fights for his woman. Later down the line in the story is where I had slightly damp eyes. Evelyn’s major loss is heart-felt, and her reaction is also heart-felt. The author wrote this last section of the book with heart. She gave it some! And delivered. This was the most enjoyable part of the novel for me towards the end. Things started to tie together as well. It’s well written, you get a feel for the time frame. The author also did a real good job as an American portraying old England, good job from a British reader! This book is just over 300 pages long, and don’t get me wrong was enjoyable to read. The one thing I would have liked is the fast pace, punch, swift movements and heart this author gave around 75% in, I would have loved earlier. This book is a slow-burner (and there is nothing wrong with that), but my reading experience (personally) may have been heightened if the pace picked up sooner. That said, it was an enjoyable read, and ends in a way to make readers think gosh what will happen in part three?? Great job Sara! Ya got-em hooked! That’s how it’s done, that’s how we do suspense. I like it! Grab your copy now from Amazon.com read Sara’s Meet The Author Interview and connect with her here Author page here. It’s the weekend! And release day of The Suspenseful Collection Volume One. We have two giveaways to celebrate! #1. All novels and novellas by Didi and I are .99p /. 99$ until the 31st July. Download one of our books and enter to win a $25.00 Amazon gift card. Closes 31st July. #2. I have Havana Heat and Lover’s Retreat out on promotion this weekend separately, to new readers. It’s only fair I share this giveaway with you also, not just new readers. I have set up a $15.00 Amazon giveaway! Download either book (Havana Heat or Lover’s Retreat) for 99p / .99$ enter below to win. Closes 31st July. I just hopped over to Amazon to copy the blub from Havana Heat, to paste it into something I’m working on. I smiled when I saw two more lovely reviews. Thank you for your 5* and 4* reviews readers! I dig you too!! Thank you! Let me say, this was the perfect summer short story. Normally I don’t dig short stories, or novellas. Mostly because I just need more than say, a hundred pages. But this was deftly set up, the characters were fab and the setting was wonderful. The author really puts you there and I dig the islands, so it really was easily to slide into the scenes. I REALLY ENJOYED READING HAVANNA HEAT. I LOVED MELINDA AND SEBASTIAN TOGETHER. THEY HAVE SO MUCH CHEMISTRY AND PASSION BETWEEN THEM. THEY WERE STEAMING UP THE PAGES. MELINDA IS A VERY LIKABLE CHARACTER WHO IS LOOKING FOR LOVE AND HAPPINESS IN THE WRONG PLACES AND SEBASTIAN IS TRYING TO HEAL AND MOVE ON FROM A LOST LOVE. THEY ARE PERFECT FOR ONE ANOTHER. 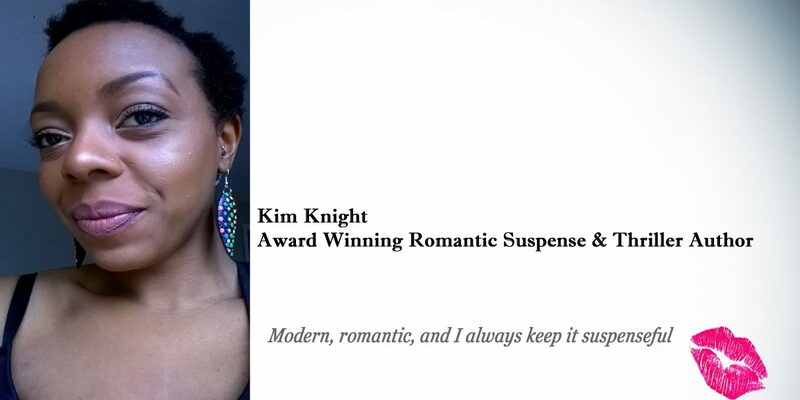 I REALLY ENJOYED THE STORY AND I AM LOOKING FORWARD TO READING MORE BOOKS BY KIM KNIGHT. IF YOU ARE LOOKING FOR A REALLY GOOD ROMANCE WITH SOME SUSPENSE, THEN I RECOMMEND YOU READ HAVANNA HEAT. Just .99p / .99$ on Amazon until the 31st! And There’s a giveaway too. For those that purchase a copy of Havana Heat or Lover’s Retreat, you can enter to win a $25.00 Amazon Gift card. For the Giveaway details see below. First three chapters all yours. Pre-sale now on .99p /.99$ for a limited time. For thirty seven year old recluse Yasmin O’Neil, life feels like one crisis after another. Her husband left her five years ago, she starts to suspect she’s losing her hearing, and then her mother is diagnosed with cancer. When her mother passes away her fortune changes. Yasmin is fifty thousand pounds richer from her mother’s estate. Yasmin takes her fate into her own hands after years of being a recluse, she rediscovers herself at a spiritual retreat in Sri Lanka south Asia, before she plans to spend the next six months travelling around the world. In Sri Lanka, Yasmin’s path crosses with Michael Thomas, an army soldier on his own path of self discovery. With their luke warm initial encounter the pair don’t hit it off straight away. After some push and pull the two are finally on the same page. Their encounter turns from luke warm to a steamy sizzling hot.